One of the many reasons smartphones were invented was so that we could be more productive. They are little computers that we carry with us everywhere and that means they expand our ability to get work done at pretty much any point in the day. We’re talking about an amazing family organizer, a great iOS productivity app called EverCal. It is developed by YunaSoft Inc., compatible with both iPhone and iPad and designed with intuitive user interface. Many apps and services seek to do the same, but EverCal gets our recommendation because it combines so many features so easily and effectively. It’s indeed all-in-one app that can solve many of your life’s problems. It allows you to create both private and sharable notes, journals and to-do lists. 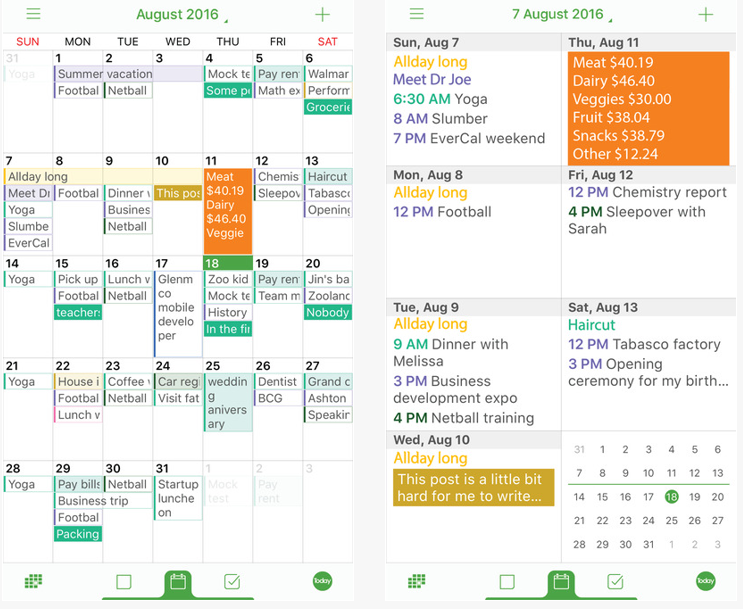 Just add them to your calendar, categorize them the way you want (with custom colors and fonts) and you’re ready to go. Then, you can share your schedules with the whole family and manage your daily tasks together. EverCal offers everything for free – you can download it from the App Store’s link for free.